Criterion outdid themselves this month with the announcement of their November titles. 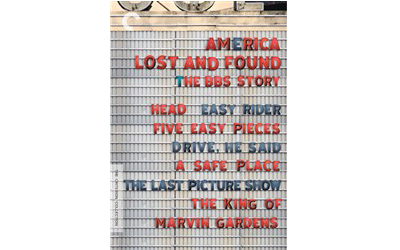 America Lost and Found: The BBS Story is pretty much the most exciting box set this year. For those looking to get acquainted with late 60s/early 70s American cinema, this is an essential buy. What I am most happy about is the wider exposure of what I consider to be THE underrated American masterpiece, The King Of Marvin Gardens. We had an asinine, terrible, doltish little shrew of a directing teacher in film school, whose own work was a model of what not to do. There were many reasons to loathe this petty creature, but his one saving grace was bringing in a dusty old video copy of Marvin Gardens and showing us the opening scene. The platitude that followed — lame as it was — couldn’t kill the effect of a truly masterfully written, directed, and acted piece of work. Hopefully this will cast some light on that other overlooked Rafelson gem, Stay Hungry.